Tells Audience That Conflicts, Although Deplorable, Have the Effect of Solidifying Nations. 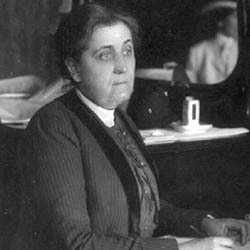 Miss Jane Addams, speaking before an audience in the Fine Arts Building last night in the series of addresses under the direction of the Daughters of the Revolution, gave her ideas on "The Newer Ideals of Peace." 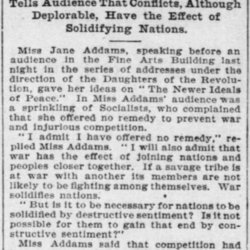 In Miss Addams' audience was a sprinkling of Socialists, who complained that she offered no remedy to prevent war and injurious competition. "I admit I have offered no remedy," replied Miss Addams. 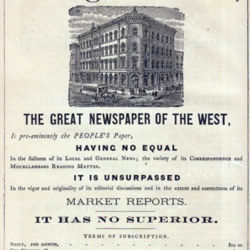 "I will also admit that war has the effect of joining nations and peoples closer together. If a savage tribe is at war with another its members are not likely to be fighting among themselves. War solidifies nations. "But is it to be necessary for nations to be solidified by destructive sentiment? Is it not possible for them to gain that end by constructive sentiment?" Miss Addams said that competition had two aspects, and that if there is to be competition it might be restricted to the nobler form, which is competition in quality. 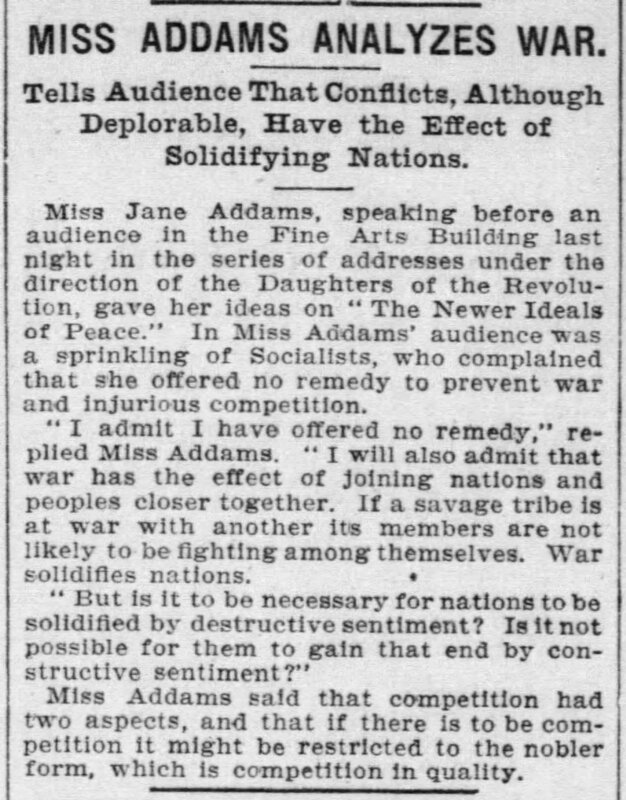 Miss Addams Analyzes War, Chicago Daily Tribune, March 1, 1902, p. 5. 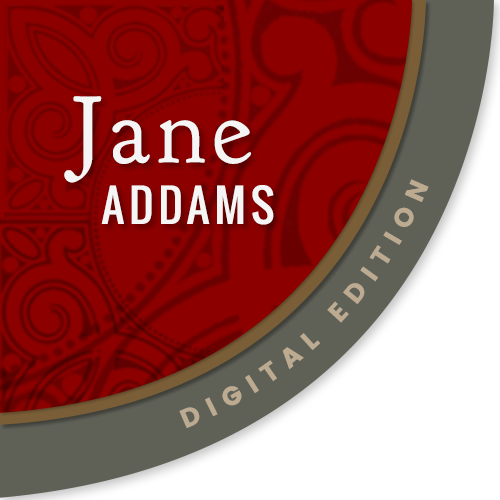 Addams, Jane, “Newer Ideas of Peace, February 28, 1902 (excerpt),” Jane Addams Digital Edition, accessed April 25, 2019, https://digital.janeaddams.ramapo.edu/items/show/16818.